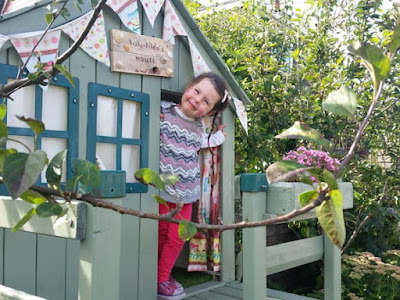 Lulu's Garden: A is for Apple Day! Apple 'Egremont Russet' is self fertile and easy to grow, making it ideal for gardens where there is only room for one tree. It is the most popular English russet variety. Fiesta is one of the best cox style apples and really easy to grow. It is sometimes called the Red Pippin which I think is cute! 4. James GrieveJames Grieve is the classic Scottish cooking apple but it can also be eaten fresh and is good for juice. Sounds like a fabulous all rounder, just like me! These apples come later in the season but they are worth waiting for as they are super yummy and nice and big. 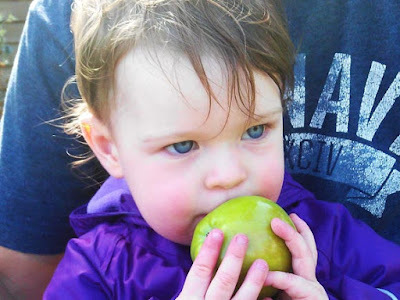 The Spartan is a small, sweet apple and popular with us kids (I know why, they taste awesome!) Plus they are really easy to grow, bonus! Sunset is another cox-style apple and is often preferred over the common Cox's Orange Pippin as it is much easier to grow. They have a lovely aromatic flavour and the trees are generally not too big. One of the most important things to look for when you are buying your apple tree is to buy one to suit your garden and how big you want it to get. Always check what the ROOT STOCK is and what size it will become. If you want a smaller tree you will want to consider a dwarf variety for your garden. 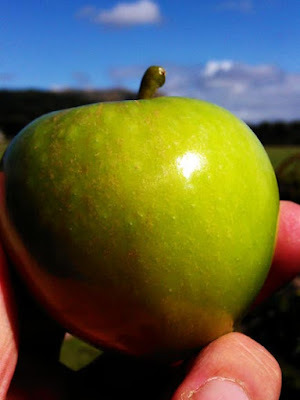 Many trees are self fertilising so you don't need to buy two and if you live in an urban environment there is a good chance there will be another apple tree nearby but it's always best to check to ensure a bumper crop. Now is the perfect time to research what tree you want and get it planted over winter (when they are sleepy, a bit like me!) and you will get some lovely, juicy apples by next summer.